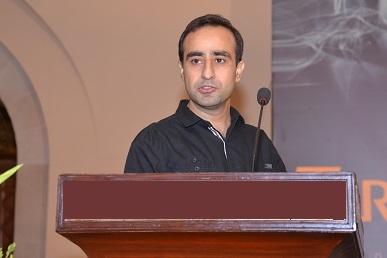 Mr. Kashif Jadoon is heading Blutech Consulting Big Data and Analytics practice globally. Kashif is a proven, resourceful and innovative professional with over 17+ years’ experience in developing, building and managing successful IT and business organizations and achieving ground breaking results in the area of big data & analytics. Mr. Kashif has a proven track record and expertise in working with private, public and government sectors globally and transforming multinational organizations through inspired leadership and strong technical delivery capabilities. Selected several times as a guest speaker on the international conferences. Extensive experience and achievements in International Business Management, Program Management, Customer relationship management and Consulting Services. Held various strategic & leadership positions in multinational organizations worldwide as Global Delivery Manager, Executive Regional Program Manager, Director Managed Services International & Director Consulting Services Eastern Europe. Kashif is also a commercial pilot and now he uses that skill as a hobby.